Lots of changes are taking place at Local Roots. The arrival of baby Felix is surely the biggest change, but as fall transitions into winter, more changes are afoot. Sometimes I feel like a broken record when I talk about the weather, but the weather is an ever-present force that we are constantly monitoring, trying to predict, adjusting to, or dealing with. 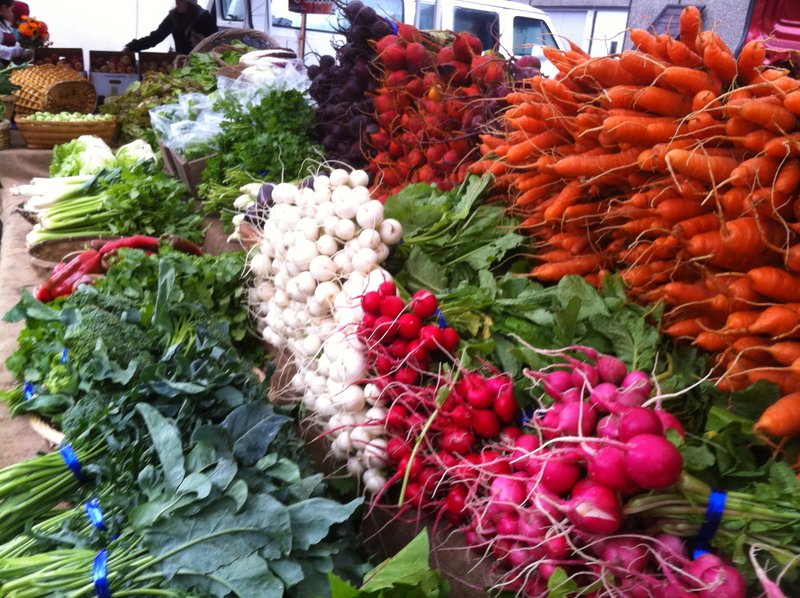 To wit: On Sunday, November 21st, we set a new farmers market sales record! We sold 100 bunches of carrots in only two hours and had sold 60 pounds of Brussels sprouts by the end of the market (thanks Thanksgiving!). The following day, the snow came, followed by a few nights with temperatures that dipped into the teens. 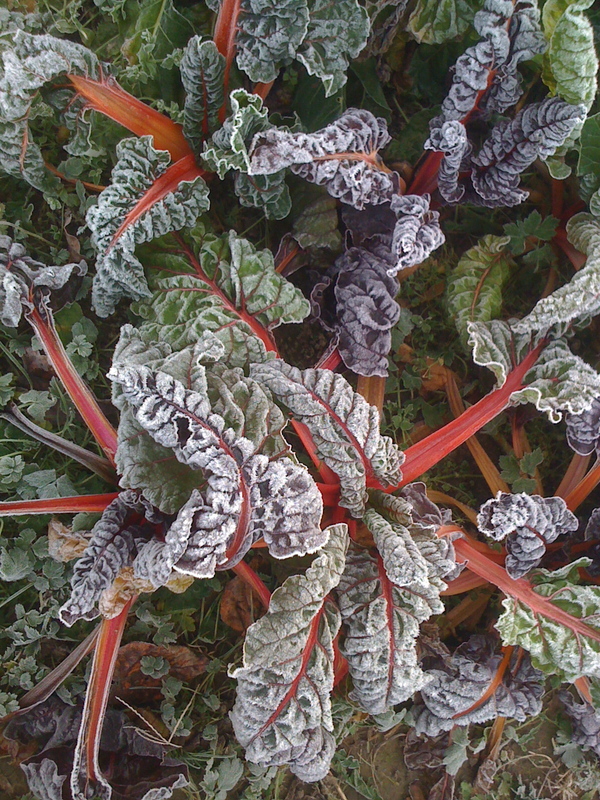 Two days later, what had been a field filled with vegetable abbondanza, had turned into a wasteland of rotting cabbage and kale. Now, we are down to just parsnips, celery root, loose carrots (frozen tops), and radicchio. 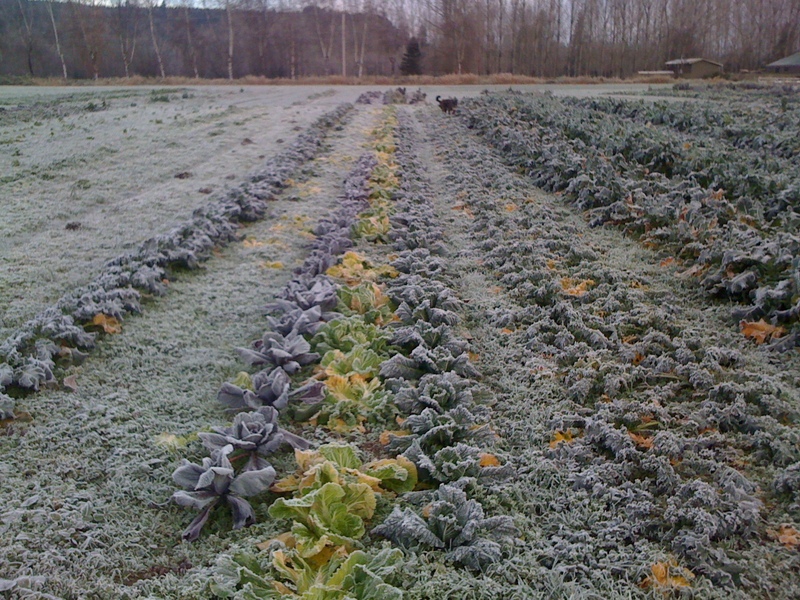 Because of the reduced variety, the freeze put an end to farmers markets for us, leaving us delivering one day a week to restaurants. Now, the National Weather Service is predicting moderately bad flooding for the Snoqualmie Valley. As of Thursday morning, it looks like we’ll be getting a 56.8′ flood. Now that’s almost 6 feet lower than the all-time record, but it’s high enough to put nearly our entire field underwater. The really scary thing about floods, though, is how hard they are to predict. Half the time, the predicted high-water mark doesn’t materialize. But the other half, it’s higher than predicted. 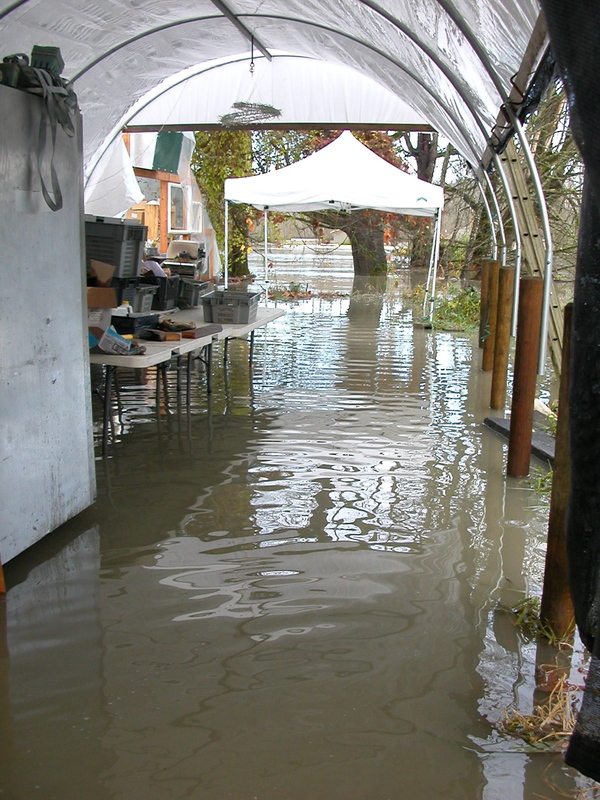 In the record flood in January 2009, the predicted height was about 59 feet. When it was all over, the flood was 62.3 feet, causing much more damage than we anticipated. Freezing temperatures, flooding rivers, a departing workforce, these are all events that make the late-fall and early-winter a time of transition for us. But it’s also the time when our favorite seed catalogues begin arriving and we start planning for next year. A time when, in our mind, every crop is a success, each new variety the answer to last years’ failures, and the newest tools or equipment are the solution to last years’ problems. This year, for us, there are even more transitions in the works… but more on that in another post! Eager to hear about the works! 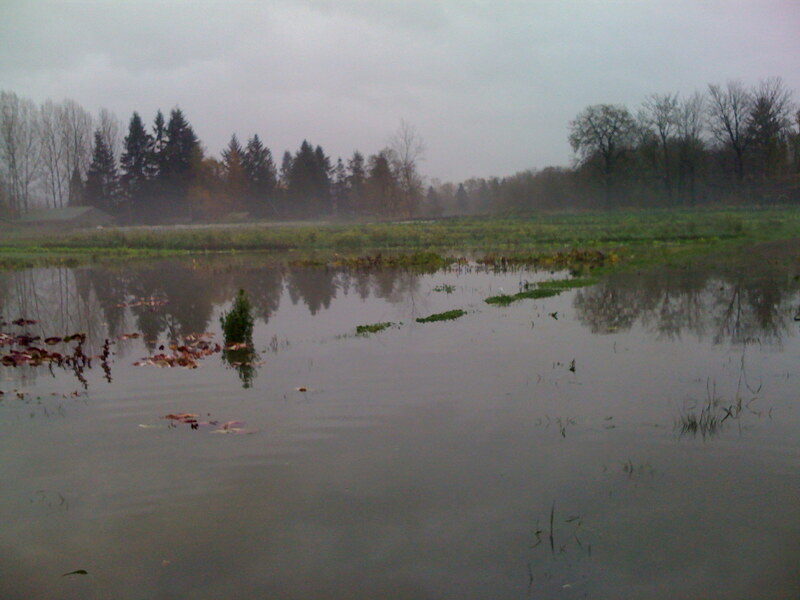 If the flooding gets really bad, you can cross the mote, and seek high ground on Vashon.